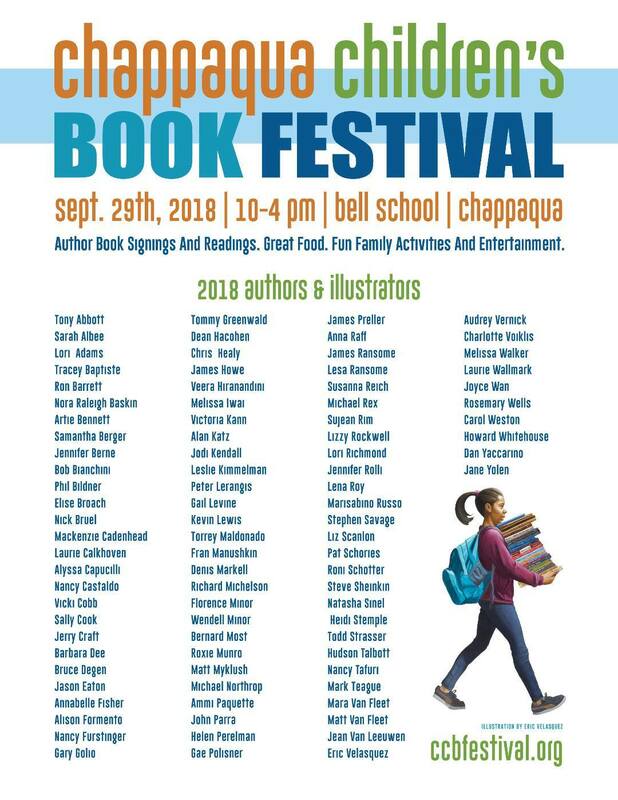 Come to the Chappaqua Children’s Book Festival: 9/29, 10:00 – 4:00! Hey, come, it’s a great scene and a terrific way to support the arts. After all, we’re nothing without readers. Bring the kids, bring the checkbook! And by all means, yes, please, stop by my little corner of this thing and say hello.